For the sixth consecutive year, the University of California, San Diego has been ranked the number one university in the nation by Washington Monthly for its contributions to the public good. The magazine released its 2015 College Guide today, an annual issue that takes a different approach to ranking the nation’s colleges and universities. Washington Monthly also rates colleges that are doing the best job of helping non-wealthy students attain marketable degrees at affordable prices. 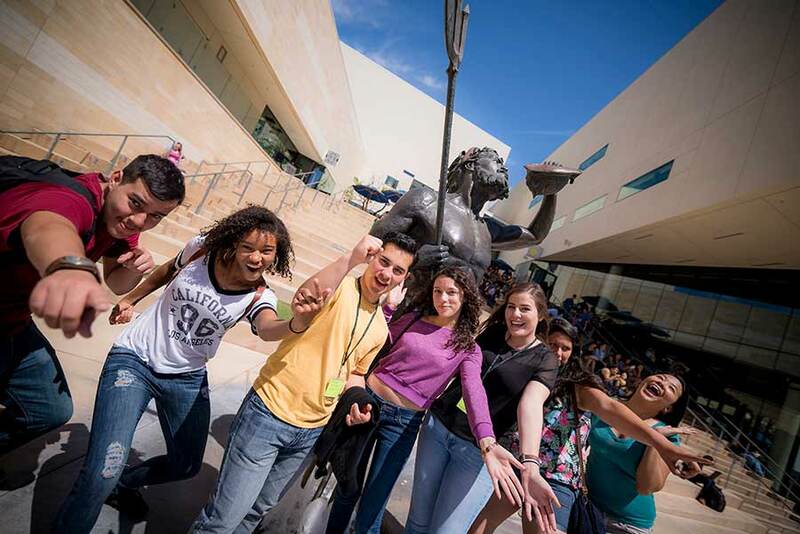 UC San Diego was listed as 16th in the Best Bang for the Buck Colleges in the West category. The magazine’s college rankings consider how universities are acting on behalf of the true public interest by measuring three criteria: social mobility (recruiting and graduating low-income students), research (producing cutting-edge scholarship and Ph.D.s,) and service (encouraging students to give back to their country). UC San Diego earned high marks from Washington Monthly in the category of social mobility, based on the number of students who receive federal Pell Grants (need-based grants for low-income students) and their graduation rates. According to the 2015 UC San Diego college profile, 68 percent of undergraduates received financial aid (including student and parent loans), and 58 percent were awarded need-based scholarship or grant aid. In addition, UC San Diego has many initiatives that are designed to promote social mobility, including the Chancellor’s Associates Scholars program. Established in 2013 by Chancellor Khosla to improve the pathway for students from historically underserved communities to achieve a higher education, the program represents UC San Diego’s full commitment to support and develop scholars through graduation. It provides a wide range of services and opportunities to ensure that they thrive as undergraduate students, and are fully engaged in academics, student life and university experiences. UC San Diego was ranked by Washington Monthly on the number of undergraduate alumni who go on to receive a Ph.D., faculty awards, research expenditures and other criteria. 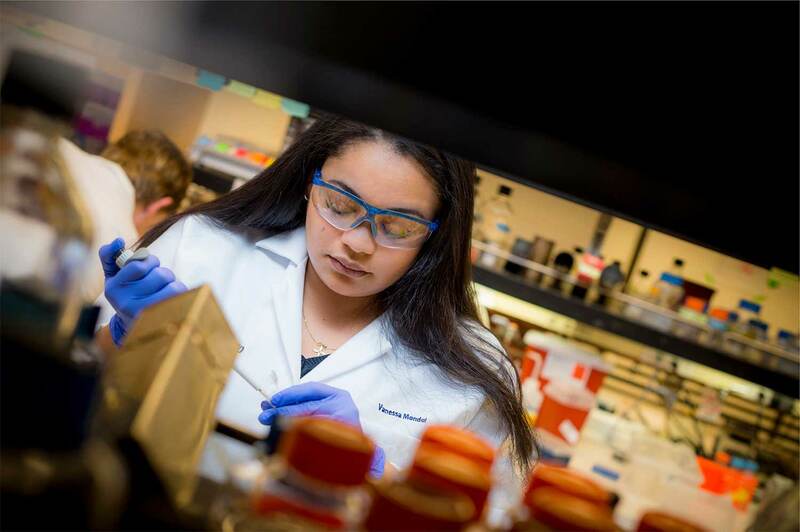 In 2015, UC San Diego’s research funding once again surpassed $1 billion, positioning the campus among the nation’s top 10 universities for annual research funding. The funding supports research in many branches of medicine, the sciences, the arts, the humanities, oceanography, engineering, the social sciences, supercomputing and other fields—research that UC San Diego is internationally recognized for translating into innovations, medical breakthroughs, jobs and new businesses in San Diego and California. Recent graduate Peter Dykstra will be attending Stanford University this fall to pursue a doctorate in bioengineering. “I’m very proud of the research that I’ve gotten to do as a UC San Diego undergrad and I hope to continue with the same themes as I begin my Ph.D. studies at Stanford,” he says. 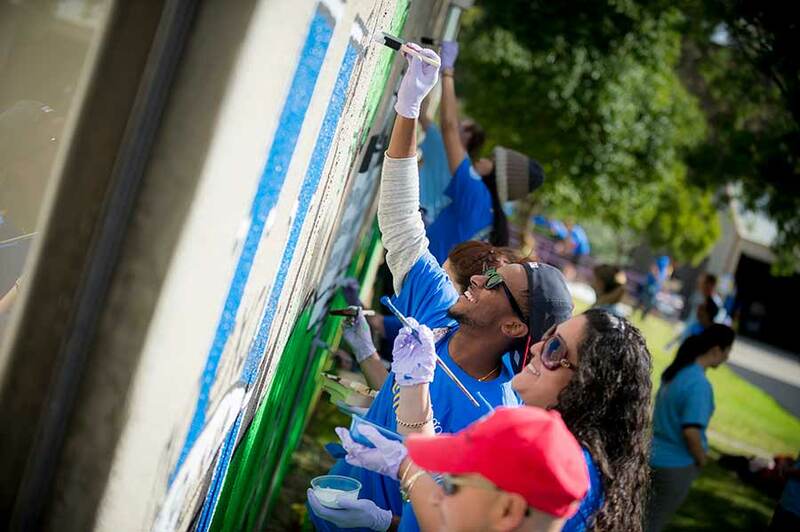 UC San Diego provides students many opportunities for community service in the region. The Partners at Learning (PAL) program, offered by the Education Studies Department, pairs local underserved students with undergraduate tutors who serve as powerful advocates for higher education. The university’s Thurgood Marshall College, working with UC San Diego’s Center for Research on Educational Equity, Assessment and Teaching Excellence (CREATE), created the Partnership Schools Program to provide undergraduate students the opportunity to volunteer at The Preuss School UCSD or Gompers Preparatory Academy as positive role models and mentors for grades 6-12 college-bound youth. Other colleges sponsor similar efforts. UC San Diego students also engage with the community through the campus’ more than 600 registered student organizations—over 90 organizations have a primary focus on service. In 2015, a total of 17,234 students completed 3,110,520 hours of community service. The complete 2015 college rankings and feature stories can be found here. Founded in 1969, Washington Monthly is a bimonthly nonprofit magazine covering politics, government, culture and the media.